Lewis Kuhn Swan PC combines the experience and resources of a large law practice with the sophistication and creativity of a boutique law firm to hold employers, lawyers, and insurance companies accountable. Our areas of focus include a variety of employment law matters, as well as cases involving legal malpractice, probate issues, and insurance bad faith. If you live in the Colorado Springs, Pueblo, or Castle Rock areas and need an experienced law firm you can trust, call Lewis Kuhn Swan PC today at 719-694-3000 to begin building your case. 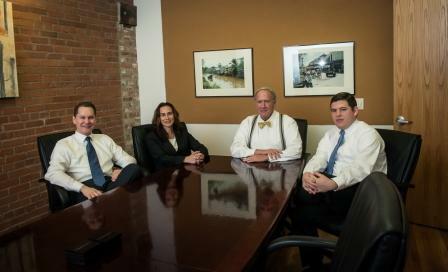 Our seasoned attorneys bring a diverse background and highly experienced skill set to your legal matters. Our firm is rated AV Preeminent, the highest distinction given by Martindale-Hubble. 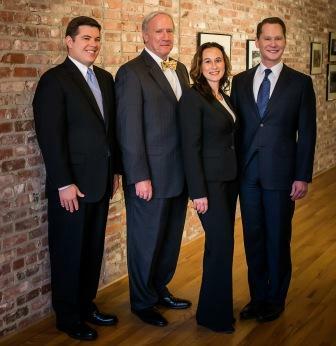 Our attorneys have been recognized as “Top Attorneys” in multiple practice areas. We have won cases in state, federal, and administrative courts. Your legal issues deserve tenacious, unyielding representation that focuses on you and the justice you deserve. Your legal counsel should deliver a clear and individualized strategy that considers every aspect of your case and the challenges you’ll face today and in the future. At Lewis Kuhn Swan PC, we are resolute for justice. We protect our clients’ rights with extensive knowledge, fierce advocacy, and uncompromising dedication. We aren’t intimidated by large corporations, contentious legal teams, or insurance companies, and we never back down from a fight. Too many law firms treat clients like products on a conveyor belt and pursue quick settlements and easy payouts. We push harder. Our attorneys are selective about the cases we accept. We champion the clients in whom we believe. We determine our success not by the quantity of cases we can negotiate, but by the positive impact we make in the lives of our clients. If we don’t believe wholeheartedly in the merits of your case, we will tell you right away. The clock may already be ticking on your case. Do not risk the justice you deserve by waiting another day. Call Lewis Kuhn Swan PC today at 719-694-3000 to discuss the merits of your case with an experienced attorney. We proudly serve Colorado Springs, Pueblo, Castle Rock, and surrounding communities.